The character shows no change. The MC is the same on page one as they are on the last page. There must be growth or we won’t care. A climax usually has the MC solving the problem they’ve had for the entire book. You will turn off your readers if an adult swoops down and solves the problem for them, making the entire journey a waste of time. Keep the stakes high and let the kid do the work. The manuscript is riddled with grammatical and spelling errors. Perfection is not expected but proofreading is. You’ve successfully eluded the first three concerns but alas your story idea is not one that would sell in this market. Lack of an enduring main character. We should have some attachment with this fictional character we’ve agreed to spend time with. The writing is lifeless and it’s difficult to keep focus as the plot plods along. Wrong audience, i.e., you labeled this MG but it reads like YA. If you get rejected there is a chance the powers to be will ask to see it again after rewrites, but don’t count on it. Get it right from the start and you can watch the interest in your work grow. This entry was posted in Editing, Publishing, Writing and tagged Rejection of a full manuscript. Bookmark the permalink. Really good advice. 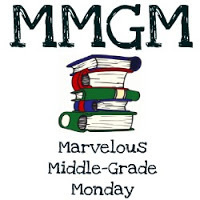 As much as I love reading and reviewing MG novels, I can’t imagine writing one. So much to keep in mind. Do you have an idea and follow an outline? I start with the main character making sure I totally understand their personality. Then comes a story idea with a beginning and end in mind. I write the first draft and the middle comes alive. After that I do outline each chapter and go to work on rewriting. That’s where the hard work begins. Thanks for sharing the tips. Good reminders here.